Thinking of taking a vacation, traveling full-time or just need an idea of what you should buy to start homeschooling. I have made a list (kid approved) of all the items you might like to get you started. Apple iPad mini, iPad 2, and iPad air are the top electronic devices you will want if you plan on traveling. Not only can you lots of educational games for FREE or as little as $0.99 but you can down load ebooks and movies they can watch while traveling. Head Phones – these are necessity for parents but my two kids like them so they can listen to two different things at the same time. The Official LEGO Shop– when it is raining outside the little blocks can keep a kid entertained for hours. We have many different sets and the kids combine them to make lots of different items. were homeschooling in a stick house. Dry eraser board – this is nice because the kids can use this to do Khan academy (math) and fun to just draw stuff and erase over and over and not waste paper. Rosetta Stone homeschool program – This is the best software for learning a new language for homeschoolers. The kids love the games they offer and how easy it is to maneuver around the program. Car Organizer – this again is a must, my kids got these for Christmas and we really like them. They keep everything off the floor of the truck and give them easy access so we don’t loose anything. Carschooling – I bought this book years ago when I started homeschooling and refer back to it all the time for ideas while we travel. Smash book or Travel Journal – the girls have started collecting small items from each place we visit to put in their travel journal. They sometimes write and sometimes don’t but these are great because you can make them uniquely yours.
. We only read 1-2 chapters a day, this way it keeps them interested. The kids also take turn reading a page or sometimes a chapter. Also check out audio books, we love listening to these on moving days (travel days). 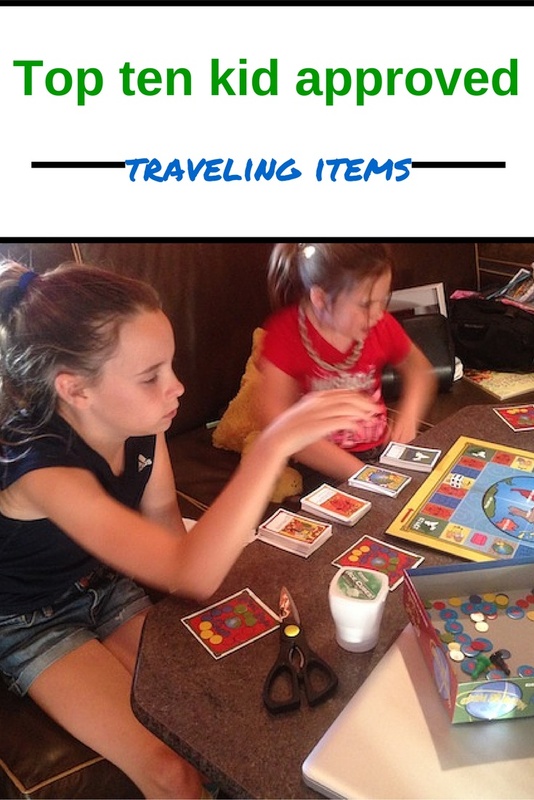 This entry was posted in My Great Deals, Unschooling and tagged board games, Books, car schooling, dry easer bead, headphones, iPads, language software, Legos, smash book, travel items, travel journal by Chrissie. Bookmark the permalink.